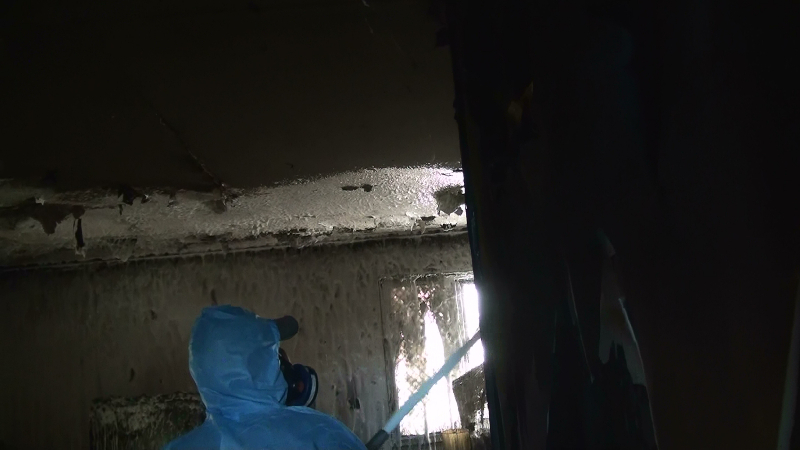 The structure in this video has been damaged by fire and therefore asbestos containing material has been assessed and deemed friable. 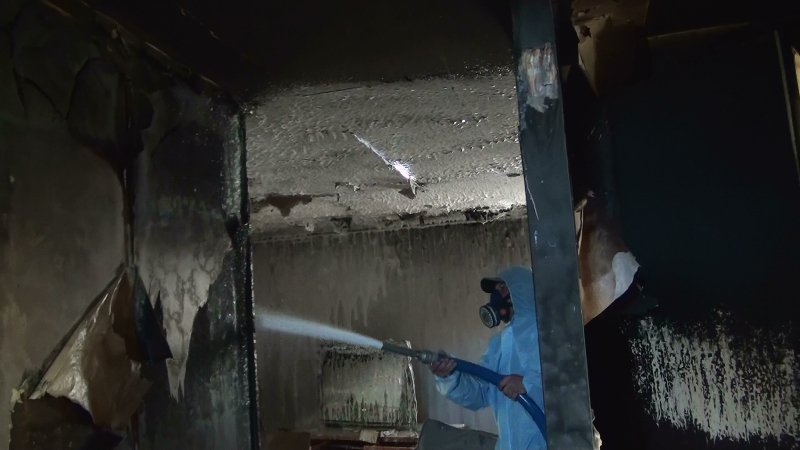 FoamShield™ was applied to this damaged structure encapsulating the fibres in the foam. 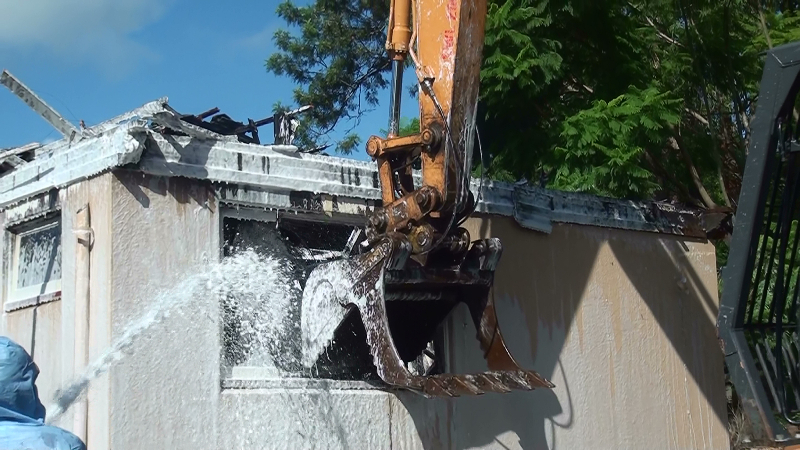 In addition, by using the FoamShield™ technology as an alternative to water, run off from the site was eliminated together with fibre encapsulation. Air monitoring results obtained during the removal confirmed a fibre count of <0.01f/ml. 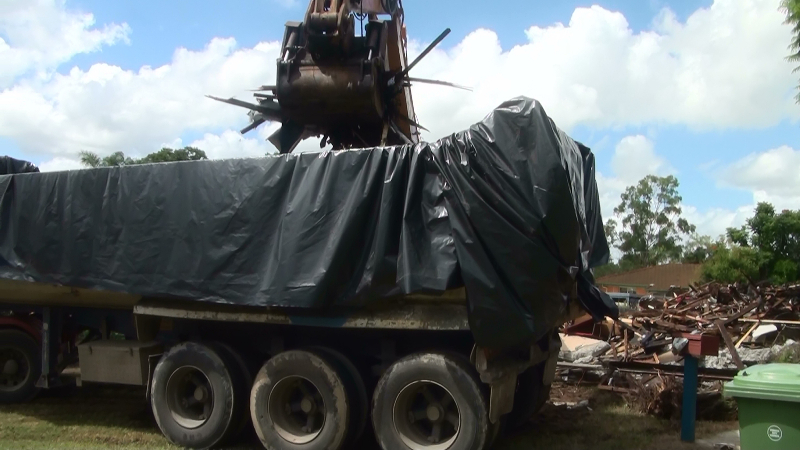 It should be noted that the house was constructed of a tile roof and concrete external walls. Internal walls consisted of a mixture of asbestos sheeting and plasterboard. The floor was timber. 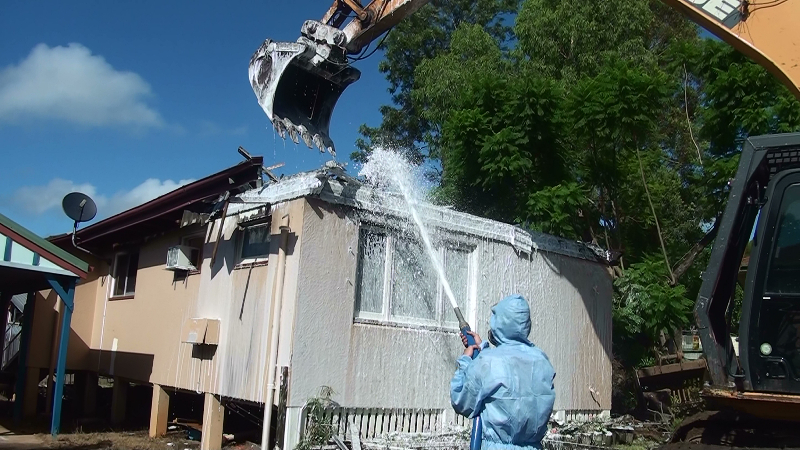 All the building materials from this demolition were placed into a lined truck, waste tracked through the Queensland waste tracking system and disposed of at a licensed landfill site authorised to accept asbestos waste. 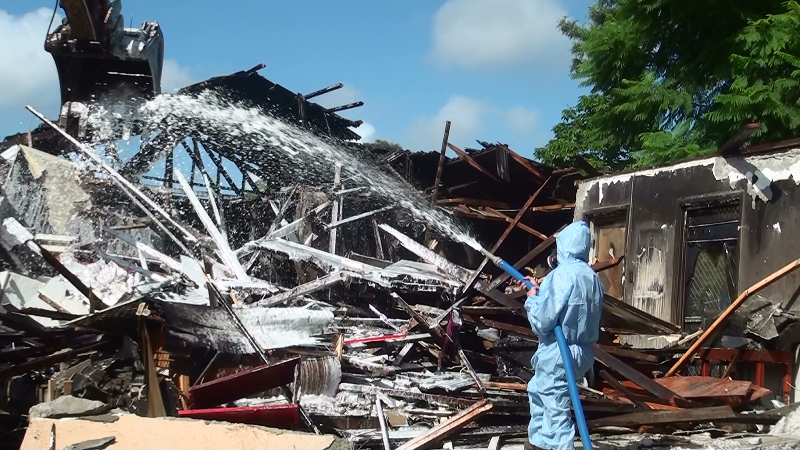 In addition, the structure was examined prior to the demolition work and the building was deemed structurally sound and safe. Therefore, foam could be safely applied to the interior of the structure with no risk to the person applying the foam. Had the building been deemed unsafe, the foam would have been applied from the outside of the building through windows and door openings.